If desserts are what you're after, look no further than this new all-day bake shop. 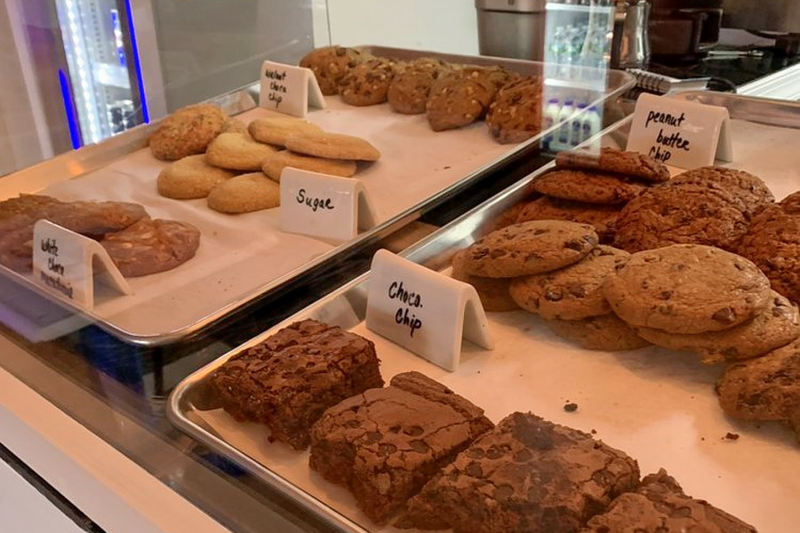 Located at 1429 Frankford Ave. in Fishtown, the fresh addition is called Frankford Cookies. Frankford Cookies offers a wide selection of treats for those late-night cravings. Look for cookies in flavors of peanut butter, butter almond, white chocolate cranberry and more. There's even a "Patriot" cookie topped with red, white and blue sprinkles. Frankford Cookies has already attracted fans thus far, with a 4.5-star rating out of five reviews on Yelp. Kamryn B., who reviewed the new spot on Dec. 16, wrote, "Tastes just like my grandma's chocolate chip cookie. The cookies are great size for the price. Such a wide variety of flavors. The sundae was basic, but in the best way possible. The cookies and cream ice cream tastes homemade, and a chocolate chip cookie to top it off, really hit the spot." Yelper Rachel H. added, "Its cookies are two dollars a pop, but they're pretty hefty for the price. I was expecting the cookies to be more of an 'ooey gooey' soft kind of cookie, but these were a bit on the firm size, but thick and not hard."